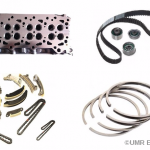 UMR Engines can recondition your cylinder heads on petrol and diesel engines. 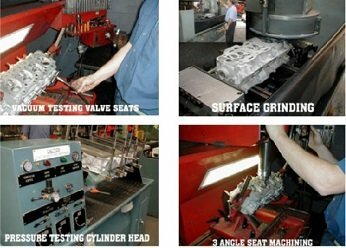 Full machine workshop, valve seat machining, surface grinding, pressure testing, Alloy Welding & more. 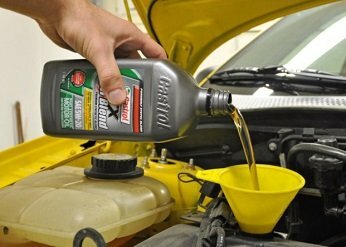 We can replace your cracked, or blown head gasket on Petrol and Diesel engines. UMR Engines carries out all repairs in-house to ensure or repairs are guaranteed at a competitive price. UMR Engines Slacks Creek has qualified motor mechanics and engine reconditioners to carry out all your engine and mechanical repairs in Brisbane Area. UMR Engines has been carrying out mechanical repairs on vehicles from all over Brisbane area and Logan City for over 40 years. UMR Engines highly trained mechanics work on all vehicle makes and models, from Holden, Ford, Mazda, Kia, Nissan, Subaru, Mitsubishi, Toyota, Honda and More. Mechanical services we can offer are: Full brake service, Clutch replacement, suspension, steering, safety inspections. general servicing, repairs and more. Qualified technicians by a trusted RACQ approved repairer. Very few workshops have the experience, machinery or knowledge to be able to carry out complete repairs. What sets our shop apart from most workshop’s is the fact that we have our own machine shop to carry out your engine reconditioning. UMR employs qualified motor mechanics, engine reconditioners and certified LPG tradespeople to handle any job. 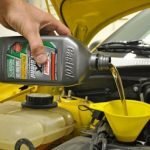 Most other mechanical workshops can only remove your engine and send the engine away for repairs. UMR Engines will remove, recondition and fit your engine in the one combined workshop. We guarantee the whole job, not just the fitting. UMR Engines was established in 1975 and has continued to be a leader in engine repairs..
UMR Engines can service and Repair your vehicle to the manufacturer’s requirements. Log Book stamped for service records while maintaining your vehicle’s manufacturer’s statutory warranty. Comprehensive repairs on all makes and models. UMR Engines qualified technicians can carry out General servicing, Brake repairs, Steering and suspension work, Maintenance, Safety inspections, Pre purchase inspections and more. With over 40 years in the industry with clients all over Brisbane you know you are in good hands. UMR Engines is an RACQ approved repairer. We sell engine parts at competitive prices all over Australia. We stock and sell thousands of engine parts, including Engine rebuild kits, gasket sets, bearings, timing kits, water pumps and more. High end brands including, Ajusa, NPR Rings, Permaseal, ACL, NDC bearings, Arco and more. We only sell so called “Name Brand Parts” not cheap imitations. Our engine parts are made to last. We offer a full product guarantee and free technical phone support. 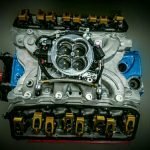 Do you need machining on your engine? Maybe you need engine parts, or a rebuild kit at wholesale prices. UMR’s large buying power means we offer great prices, with the backup of our technical support. 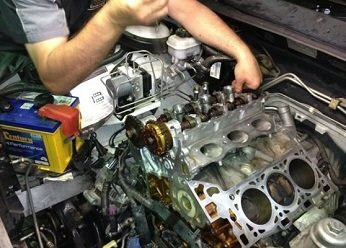 Head gasket – head gasket repairs, blown head gasket testing, head gasket replacement, cracked head replacement, diagnose leaking head gasket causes. UMR Engines is located at 7 Moss Street Slacks Creek – Brisbane 4127, Call UMR Engines on 07 3299 1944 for more information.